We’d love your help. Let us know what’s wrong with this preview of Return to Kaitlin by Helen Yeomans. Oil rig jobs are dirty, dangerous—and highly paid, which is why 19-year-old Tyler Hogan heads for the oil patch rather than work for minimum wage at home. Ty’s ego has taken a bruising in the past few months. His world fell apart when his girlfriend left him. He nearly hit someone while driving drunk, and at the end of his first semester he flunked out of university. Now he Oil rig jobs are dirty, dangerous—and highly paid, which is why 19-year-old Tyler Hogan heads for the oil patch rather than work for minimum wage at home. Ty’s ego has taken a bruising in the past few months. His world fell apart when his girlfriend left him. He nearly hit someone while driving drunk, and at the end of his first semester he flunked out of university. Now he’s determined to make good, to earn the money for his education, to return home a hero. To ask other readers questions about Return to Kaitlin, please sign up. Return to Kaitlin by Helen Yeomans just went to the top of my hidden gem list. A story of a young man, who took a few emotional hits, experienced the soul-crushing angst of almost killing someone when driving drunk and allowed his personal depression and losses to overwhelm all other aspects of his life. Tyler Hogan is ready to turn his life around. He wants another chance at university and is willing to do whatever it takes to earn his tuition. Working at a minimum wage job doesn’t cut it and wh Return to Kaitlin by Helen Yeomans just went to the top of my hidden gem list. A story of a young man, who took a few emotional hits, experienced the soul-crushing angst of almost killing someone when driving drunk and allowed his personal depression and losses to overwhelm all other aspects of his life. Tyler Hogan is ready to turn his life around. He wants another chance at university and is willing to do whatever it takes to earn his tuition. Working at a minimum wage job doesn’t cut it and when he hears that working in the often frigid temperatures to the north on an oil rig will make him the kind of money he needs, he takes that first step and heads off, with a plan, some money, and his trusty Path Finder. What he finds on his journey is that nothing goes according to plan and the world is full of as many people who will kick you as help you. 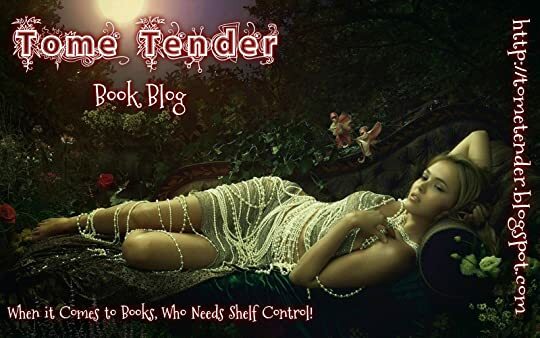 Nineteen, alone, going through his money faster than he would like, event after event tripping him up, it came down to Tyler, being the man he was meant to be or wallowing in the negatives his life has tossed at him, forgetting the good that has also come his way. Will Tyler come out of his experience unscathed and wiser or will his experiences alone in a strange place leave scars that may never heal? Helen Yeomans has created a positive story of the power of youth and determination to be proud of one’s self while adding the realism of the cost of being alone, naïve and too often too trusting. Tyler isn’t perfect and it shows, as we hear his inner monologue, see and feel the lessons he has learned and are there to share in his coming of age. Well written, intense and filled with brilliant detail, get ready to feel the frigid air, smell the sweat and become a part of the world of the rare individuals who are capable of calling this life home. Are they a unique breed? Is their own code filled with more honor than that of some populations? Learn what it takes and what it costs Tyler as he finds his way back home, making his own “do over” in life. I received an ARC edition for Helen Yeomans in exchange for my honest review. How far would you go to earn some fast cash? Tyler's been having a rough year. Not only did his girlfriend dump him, but now, he is being removed from school due to his low grades. Unable to afford to retake most of his classes, Tyler sees no other solution than to move to Alberta for some quick cash. Unfortunately, Ty will not only need to be confronted with the importance of saving for rainy days and the actual price of food and housing -- he will also need to learn to defend himself. Even if i How far would you go to earn some fast cash? Tyler's been having a rough year. Not only did his girlfriend dump him, but now, he is being removed from school due to his low grades. Unable to afford to retake most of his classes, Tyler sees no other solution than to move to Alberta for some quick cash. Unfortunately, Ty will not only need to be confronted with the importance of saving for rainy days and the actual price of food and housing -- he will also need to learn to defend himself. Even if it means standing up against his own addictions. A survey says that 79% of teens drink in Alberta. Which is crazy considering that the city's population is not that high compared to the rest of Canada. It hurt seeing Tyler drink himself to sleep, and get into several pointless fights. Some life lessons are learned the hard way, and Tyler needed a big revelation in order to grown up and become more disciplined. Tyler Hogan’s day doesn't end well. He gets drunk and almost has a serious accident. He's a first-year college engineering student and not doing well. Now he's got a breathalyzer device on his car, a lecture from his mom and is out $800 in fines. And his girlfriend dumps him. These are all good incentives to not drink and drive. He's not too different from his teenage friends especially his best friend, Barty. The college Dean calls him to his office and due to bad grades in all but engineering suggests that Ty come back and start over the next year. Ty’s life seems to have bottomed out. He drowns his sorrows in more beer. Upon hearing of jobs in the North where the pay is great for hot oiler crews. Ty is drawn in immediately. He soon finds out that his dream job is demanding. He's a quick learner, likes the money, does the dirty jobs as a newbie and saves his money. He's beginning to see a future. While his bosses and his hard drinking, often bullying coworkers are tough on him, he does meet a few good guys who help him find his way. Tyler soon realizes that the high cost of living is eating up his savings. He moves up to working the oil rigs and enjoys the three-week on. One week off routine even after nearly getting killed from a fall. Soon his luck turns on him again and Ty manages to gamble while drunk, losing thousands of his savings and having his car slide off an embankment while driving on black ice. The car is intact until the towing company smashes it while pulling it back up to the road. Ty is sliding downhill as well, working hard under harsh frigid conditions and drinking just as hard — much like the rest of his crew. This is a coming-of-age story about a nice young man who is honest and tries to find himself in a harsh world. Author Helen Yeoman writes in great detail of the exacting toll that the oil rigging takes on its workers. For those who enjoy learning the intricacies of this formidable work, the author describes precise details involved in working the oil rigs in Canada. Will Tyler Hogan be able to discover who and what he is and turn his life around? It's highly unlikely but he is not your average young man and he fosters impossible dreams. This book is loosely based upon a true event which makes it even more interesting. It is well-written with interesting characters, impressive descriptions and a fairly surprising ending. *Advanced reading copy provided by the author in return for an honest review. A troubled young man seeks work in the oilfields of northern Canada and in the process finds himself. Ty is a college student with an overworked mother and an absent (and hard-drinking) father. He's not a bad kid, but he's impulsive and teetering on the edge of his own drinking problem. This is made worse when his girlfriend breaks his heart. Ty suffers a downward spiral that results in his being asked to leave his unive *Advanced reading copy provided by the author in return for an honest review. Ty is a college student with an overworked mother and an absent (and hard-drinking) father. He's not a bad kid, but he's impulsive and teetering on the edge of his own drinking problem. This is made worse when his girlfriend breaks his heart. Ty suffers a downward spiral that results in his being asked to leave his university. He heads north to the oil fields in hopes of making enough money to continue his education once he's allowed back into school. This book wasn't an easy read for me, which is strange considering the high quality of the writing. There is plenty of attention paid to setting and character development. The world Yeomans creates feels real. All the grime and grit of life in the oil fields and the small, rough towns that go along with them is powerfully evoked. That said, RETURN TO KAITLIN didn't capture my imagination. It didn't carry me away. I had trouble connecting with Ty. The fact that he's been wounded, first by his father's abandonment of the family, then by his girlfriend, certainly justifies some of his melancholy. Problem is that we meet him in the midst of his crisis, and there's not enough sweetness/vulnerability early on to balance out all the resentment and anger. I just didn't like the guy. This made it hard to hang on through the twists and turns of his journey to self-awareness. Another problem was the novel's pacing. SLOW. There is so much description about the trip north (I should say "trips"--Ty doesn't get to Kaitlin right away) and then his daily round that it weighs down the narrative and obscures the arc of the story. I caught myself skimming long paragraphs of exposition and struggling to figure out which episodes and character interactions were significant and which were merely minor interludes. Overall, RETURN TO KAITLIN didn't give me the reading experience I was looking for. First things first, I was gifted a copy of this in exchange for an honest review. Now that that is out of the way, let's jam! Ty's story is one that I can honestly say was an interesting one. It starts off slowly (really slowly) with seemingly trivial antics by the characters, though I suppose this was done in order to set a basis for how the characters act regularly. This set up does the story a great service, especially at the end of the novel. Now, there were times where I was utterly confuse First things first, I was gifted a copy of this in exchange for an honest review. Now that that is out of the way, let's jam! Ty's story is one that I can honestly say was an interesting one. It starts off slowly (really slowly) with seemingly trivial antics by the characters, though I suppose this was done in order to set a basis for how the characters act regularly. This set up does the story a great service, especially at the end of the novel. Now, there were times where I was utterly confused by some of the character interactions, meaning, I wasn't sure who was speaking to who at times, which is a big no-no for me. Even with that said though, I found myself relating to Ty, mostly because I've experienced some of what he did. *MINOR SPOILER* He loses his initial job. I had that happen to me, where I was counting on a new job opportunity and it fell through, only to have it all work out by getting another not long after the initial letdown. One thing I can say I definitely enjoyed about this book was Ty's interactions with the characters later on in the book. They are entertaining, touching, and more. I enjoyed those parts of the book more so than things that had to do with the rig. However, I found myself getting distracted while reading about the technicalities and procedures done on the rigs (though you can tell copious amounts of research was done, which I can appreciate). Still, I admit that I scanned over some of the work on the rig. This story has the potential to have it all. Tyler Hogan breaks up with his girlfriend and turns to alcohol to soothe his pain. After almost killing someone while driving drunk and being kicked out of school he is determined to find any job to come up with the tuition and get back in. He turns to the oil fields for hard work and good money. He meets some not so nice people and some very nice people along his travels up North. In the end everything really comes together. What truly turned me off f This story has the potential to have it all. Tyler Hogan breaks up with his girlfriend and turns to alcohol to soothe his pain. After almost killing someone while driving drunk and being kicked out of school he is determined to find any job to come up with the tuition and get back in. He turns to the oil fields for hard work and good money. He meets some not so nice people and some very nice people along his travels up North. In the end everything really comes together. What truly turned me off from this story was the monotony about the in depth descriptions of every little bit and piece of the oil field. While I think some details are important this was just too much. I found it hard to push myself to read this book because I didn't want to know anymore about the oil fields than I had already read. That being said the story does end pleasantly, if only you can make it through Tyler's oil field jobs. 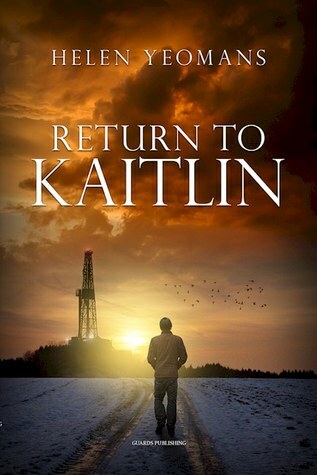 Helen Yeomans’ book, Return to Kaitlin, is a story of personal redemption, following a messed-up 19-year-old’s journey to manhood in the arena of oil rigs and Canadian small towns. A realistic portrait of how life-experience can change a young man’s view of himself and his goals, Kaitiln is an easy read for someone who wants to read about a young man’s struggles and life-journey changing. The characters, dialogue, and setting feel real, and the scenes and chapters have a nice flow. I won this novel from Goodreads and thank them very much! I probably would have not picked up the book in the store. It seemed to be a "guy" book. I have to say after a few pages I was hooked. I really enjoyed the story and all the technical oil-rig terms just seemed to make it all so believable! I was sorry to see it end and now will be wondering how he did at university and what about his love interests, what about his new friends. There could be another book after this one! This is a fascinating coming-of-age story. A true-to-life page-turner in every way, it follows a young man who joins the dangerous hunt for arctic oil, and the rough frontiersmen with whom he collides. For guys and gals alike, this is a 21st century mix of the 1849 gold rush, the building of the transcontinental railroad, sailing a clipper ship around the horn in winter, and a Hallmark relationship movie. I will remember it for a long time. Helen Yeomans tried her hand at short stories, scripts and screenplays before settling on the novel as the form she liked best. Starting out in the publishing industry, she worked in Toronto (Prentice-Hall) and London (Mitchell-Beazley) before founding her own company in Vancouver, providing editing and writing services to business clients worldwide. Her first book, The Christmas Carol Handbook, wa Helen Yeomans tried her hand at short stories, scripts and screenplays before settling on the novel as the form she liked best. Starting out in the publishing industry, she worked in Toronto (Prentice-Hall) and London (Mitchell-Beazley) before founding her own company in Vancouver, providing editing and writing services to business clients worldwide. Her first book, The Christmas Carol Handbook, was published in 1987 and sold 10,000 copies. She fell into fiction writing by accident while exploring the film industry as a source of editorial contracts. After writing three feature length film scripts, one of which was optioned, she tried her hand at shorter scripts then other fiction forms, including short stories for children. Owen’s Day, her first novel, continued the Christmas theme with its story of a man who gives too much. Published in 2011, it was followed a year later by Ang Tak (“Little Tiger”), a story of international intrigue centered on an amateur golfer and his caddie at the Masters. In November 2013 came The Money Tree, about a close-knit family living on the Gulf Islands of British Columbia, and their unusual trees. The story explores the stability of paper money and family. Most recently, Return to Kaitlin is a story of a young man’s odyssey across northern Canada. Late in 2015 came A Knock at the Door, a collection of stories for children. The characters in these stories are letters and the letters have personalities, and spelling evolved in a way not described in the OED. A Knock at the Door is a finalist in the 2015 Wishing Shelf Awards.